Whether you’re launching a brand new business or simply expanding your existing product line, including video in your strategy can help take your product launch from good to great. Why? The main reason is that video converts. In fact, viewers may be anywhere from 64-85% more likely to make a purchase after watching a product video! If that’s not compelling enough, consider this: if a picture is worth 1000 words, what’s a video worth? One Forrester study found that the answer is somewhere in the neighborhood of 1.8 million words. And that’s for just a one minute clip! The power of video lies in its ability to engage and inspire, entertain and educate, and to do so in an easily digestible, highly shareable format. Read on for 4 simple ways using video can help drum up anticipation for your new website, product, or brand, plus some of our favorite launch videos to get you inspired. Explainer videos are a mainstay in the startup world for good reason. We’d be hard-pressed to think of a better way to easily convey the benefits of a product, business, or service than through a short and sweet explainer video. They’re also useful for teasing soon-to-be-released products too. Want people to donate to that Kickstarter? Capture their interest and build a following with a video. Remember that an effective explainer video should do more than list the features of your product (unique as they may be). It should start with the problem, introduce your product as the solution, and end with a call to action. You can (and should) also discuss features, your company, and/or your vision, but the crux of the video should focus on your user, their experience, and how your product can help. 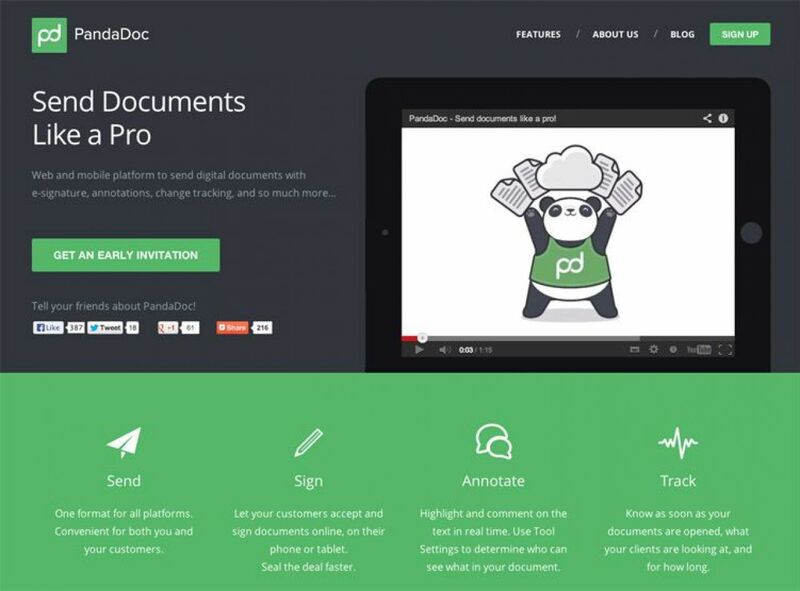 This is PandaDoc’s pre-launch video landing page with an early access lead capture. To really launch your product with a bang, create a landing page, add your video, and include an email capture form. You may also want to offer a free gift, early access, or a pre-order discount for even better results. One study found that including video on landing pages can increase your conversion rates by 80%! You created an explainer video and your views are starting to climb. Great! But while some of those people might be eager to jump onboard the minute your product launches, others likely have questions or hesitations. You can use product or brand launch videos to really go into detail about how to get the most out of a particular aspect of it. You can create demo videos, including footage of people actually using your product, or create a video answering common questions. If your product/website/service has multiple use cases, try creating videos demonstrating some of the less obvious ways it can be used. If you’ve done any beta testing or offered early access, testimonial videos featuring people who tried and loved your product or app can help to inspire trust in others. A good pre-launch video has the potential to go viral, creating a buzz around your product prior to launch. For example, in October 2016, Nintendo’s teaser trailer for their Switch console racked up 38.4 million views in just seven days. The key is to make your video short, sweet, and shareable, and to seed it in the right places (that’s wherever your market hangs out online). In addition to your landing page, YouTube, and social media channels, that might include places like ProductHunt or subreddits on Reddit related to your niche — be careful about appearing too sales-y though! Want to learn more about creating a viral video? Try our magic formula. A live launch is another great way to use video to drive sales. Apple’s famous annual live events are one well-known example, but you don’t have to be announcing the next iPhone to benefit from a live launch. You can use Facebook Live, YouTube and/or Twitter (wherever your audience is) to give viewers real-time announcements on launch day, or even take them to your launch event, if you’re having one. In order to make a live video launch work, you’ll definitely want to build excitement and awareness beforehand, and again, you may want to incentivize people to watch the announcement. That might include a discount, add-ons, surprise announcements or live giveaways, special guests like celebrities or influencers, and other offers. While launch videos are a favorite marketing tool in the tech world, as you’ll see below, they’re by no means only for apps and devices. 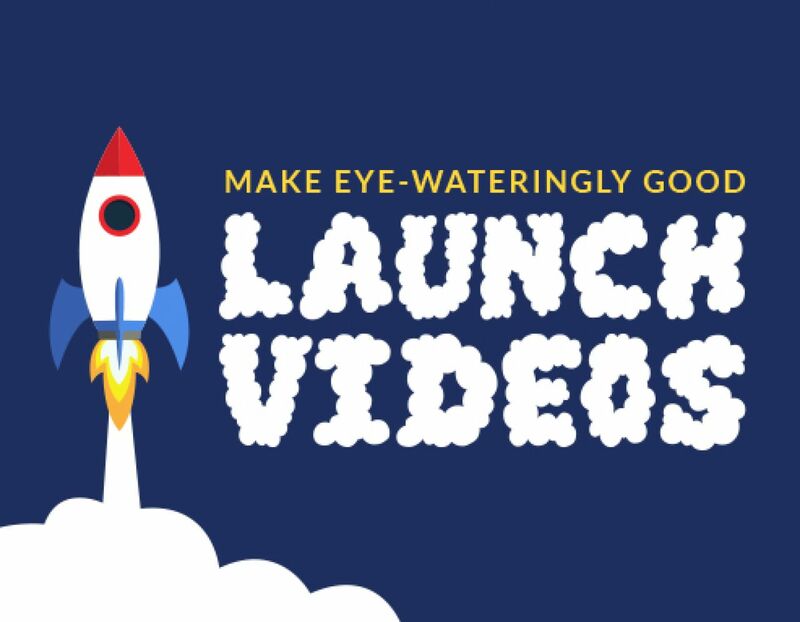 You can create a launch video for everything from a new brand or website, to a new feature in your existing product — even books can benefit from teaser videos! Salesforce’s mobile app video focuses on the app in action, with plenty of shots of different features being used. While you certainly can create an explainer video with concept art or visualizations, if you can show your product actually in use, it can really help people visualize themselves using it. Of course, we also love a good animated launch video! They’re particularly handy if your product is less tangible or harder to show in use. Animation is also a great choice if you’re looking to build an emotional bond with viewers — animated characters resonate with people in a way that live action footage can’t — and they’re fun to watch! Here’s one animated product video created by SmartSpotter using Biteable. Launch videos aren’t just for tech — when the San Diego County Office of Education launched a new family of schools, they announced the news with the video below. The video highlights the meaning of the Momentum name and the schools’ educational philosophy. You don’t need to be launching a brand new product or brand to benefit from a launch video. Added some new features to your product? A video is the perfect way to share the news with your existing customers, and perhaps, attract some new ones. GoPro’s live launch event last year combined elements of a traditional keynote, intercut with some incredible footage shot entirely on their line of cameras. A great way to both highlight the product’s features and the team behind them, as well as showing what they’re capable of. These days, it’s not just movies that get trailers. Book trailers and teaser videos are becoming an increasingly popular tactic, especially for self-publishing authors. This trailer for Jared Young’s book Into the Current even won an award at the 2017 SXSW conference. As video games have become more cinematic, so too have video game trailers and teasers. But your game doesn’t have to be The Last of Us to have a visually stunning trailer that offers a peek at the gameplay and storyline. Mobile game Monument Valley became an indie sensation when it launched 4 years ago with a video that perfectly captured the gorgeously surreal world in which the game takes place. No matter what you’re launching, a video is the perfect way to get the word out and build enthusiasm for your new release. You may even get lucky and find yourself going viral. The key is to keep it concise (think 1-2 minutes) and to stay focused on the benefit to the user. As cool and cutting-edge as your product may be, the cold hard truth is that people really only care about how products will benefit them. Yes, you can (and should) talk about your unique features, but keep a laser-like focus on explaining the tangible benefits, whatever they may be, and how they will help improve the user’s life or solve a problem they’re facing. Need some more inspiration? 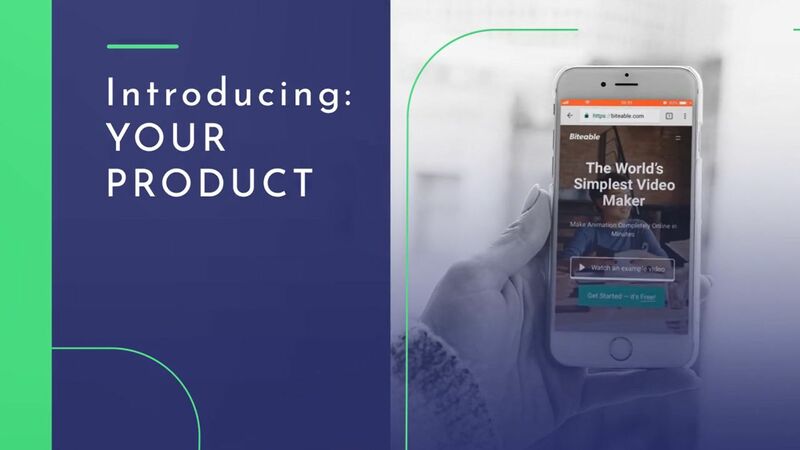 Check out (or even use) this product launch video template and start creating your launch video on Biteable today!